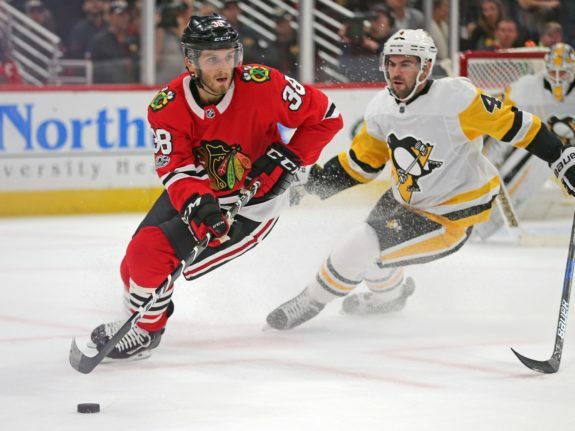 Will Ryan Hartman Improve the Nashville Predators? Will Hartman Improve the Predators? 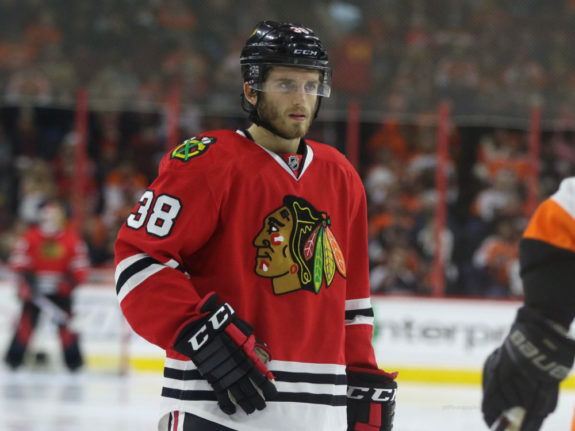 Now that the dust has settled and the Predators are the proud owners of a shiny new Ryan Hartman, we have to ask the question, what kind of an impact will Hartman make? Will he be relegated to the bottom six, or even the bottom line as Nashville boasts their deepest roster in history, or will Peter Laviolette’s line blender see Hartman take on a role with one of the two best lines in the Central? Let’s look back to his time in Chicago as an indicator, although the results are a bit misleading. Hartman spent most of this year skating alongside one of the best American players of all time, Patrick Kane. While this hasn’t bolstered Hartman’s points, it’s certainly bumped up his possession stats. No offense to the Predators or Hartman, but it’s unlikely that he’ll play with a similar talent, unless something tragic happens to all of the top six wingers. So let’s see what Hartman brings to the table to help determine where the best spot in the lineup is. As a way to make this simpler, let’s ease into it with some simple stats. The Chicago Blackhawks are having a down year offensively, and Hartman wasn’t immune. Hartman cracked the 31-point mark in his rookie season last year, and looks on pace to break that again. While his goals have gone down, his assists are up and we’ve seen a player go from a shoot-first mentality to a preserve possession mentality. Without further ado, let’s look at the simple stats. For reference, all stats are in all situations except for even strength points (ES Points). Hartman has amassed 25 points in 57 games, not a bad total but it does leave some wanting more as Hartman spent time with Kane. The most concerning thing here is that Hartman only scored eight goals, despite being a power forward who makes his money around the net. Nevertheless, a new offensive scheme where traffic in front of the net is mandatory might help him get on the scoresheet a bit more. 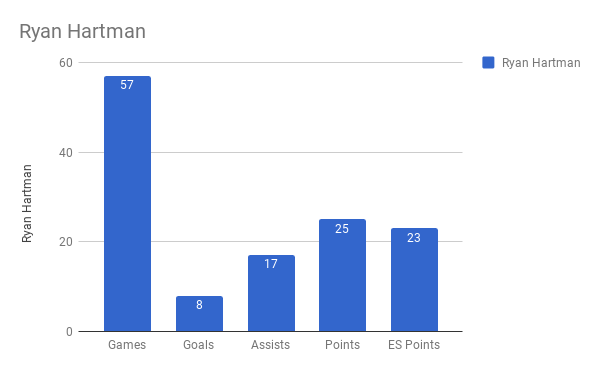 Something that does calm me down a bit, is Hartman’s even strength numbers. When I saw his points and his linemates, I was a little bit scared that the power play was propping him up a bit, but Hartman has been a killer at even strength. This is a great pick up as the Predators rely on their power play to score one or two goals a night. Despite being the top team in the Central, the Predators have one of the worst expected goals-for at even strength in the league. Even if Hartman just plays 15 minutes a night, his scoring touch will be felt without having to wait for the opposition to take a dumb penalty. The deeper I look into Hartman, the more I like about him. His advanced stats paint a pretty picture, with and without All-Star linemates. Despite the Blackhawks not having an incredible season by any metric, Hartman has dominated possession. For reference, I’m using unblocked shot attempts (Fenwick), goal percentage, high danger chance percentage (HDC%), and offensive zone start percentage at five on five. Above, I see three great stats and one awful stat. Let’s start with the good, more specifically, Hartman’s Fenwick. He owns a 52.25% which is above average by any stretch of the imagination but looks a bit better compared to the Blackhawks’ 51.69%. It’s nice to know that Hartman is producing above what the rest of his team is producing. It’s also not because of his playing time with Kane, as they had a 46.90% Fenwick together. So Hartman is producing without having to depend on a certain linemate. The goals percentage is nice, but Hartman doesn’t have much of a defensive impact as a winger. It’s nice to know that his team scores goals while he’s on the ice, but his high danger chance percentage has me worried. 42.97% is so far below average, and most of that comes from the fact that the Blackhawks only produced 107 high danger chances with Hartman on the ice. While Hartman’s line is producing at an average rate, his line is sacrificing defense. Not to talk smack, but Artem Anisimov isn’t known as a defensive center, so new linemates might solve that issue. With the good and the bad laid out, let’s discuss context. Hartman received some incredible zone sheltering but consistently saw top four defensive competition. It’s safe to say that he won’t start in the offensive zone more than 52% of the time for the Predators, but he likely won’t see the best defensemen each and every night. The trade deadline is always scary for each team that buys. The question that always races through my mind is, can this player continue his production, or was he a product of his system? Was Hartman a Product of the Blackhawks? 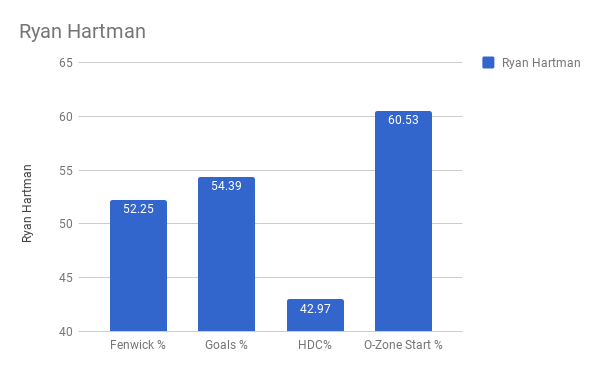 To explain the chart below, I’m using Fenwick created, scoring chances created (SC Created), high danger chances created (HDC Created), and then I included penalties for good measure. All stats are at five on five, and each stat is what Hartman has created compared to what the Blackhawks created while Hartman was on the ice. They’re mixed results, to say the least. While it’s not great that Hartman has only produced 118 unblocked shot attempts, it’s a little funny that he’s created 106 scoring chances. This happens because Hartman doesn’t take many shots outside of the high danger area. It’s not a coincidence that Hartman has created just under 50% of the high danger chances that happen while he’s on the ice. 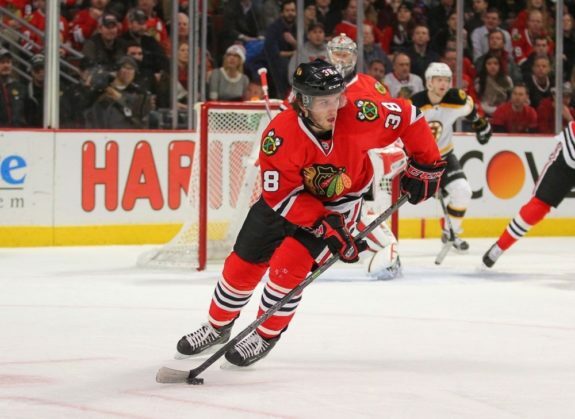 His willingness to crash the net should not be ignored, as it’s resulted in many goals for the Blackhawks. The main takeaway from the chart is that while Hartman doesn’t actually create much in the way of shots and scoring chances, he produces higher quality chances more often than any other player that was on his line. He reminds me of Austin Watson, but not as good defensively and much better offensively. Then there’s the last stat, penalties taken. 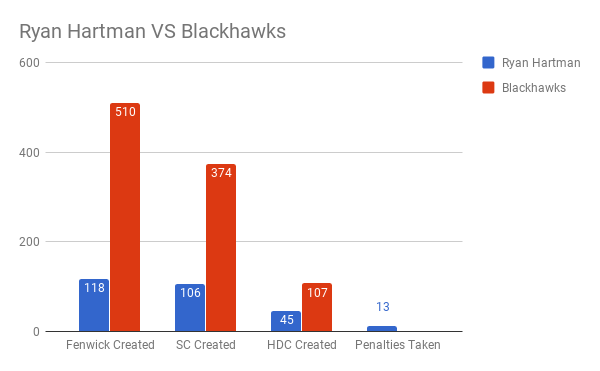 I couldn’t find any stats to show how many penalties were taken with Hartman on the ice, but Blackhawks fans were quick to tell me that Hartman takes the majority of them. His physicality and passion comes with a price, and hopefully it doesn’t bite the Predators come playoff time. The most penalized team in the league added another player who takes a lot of penalties, it’s a match made in heaven… or somewhere a little hotter. Does Hartman Fit in With This Roster? Absolutely! The Nashville Predators are starved for high danger chances and Hartman can deliver just that. Hartman will make his debut on Tuesday against the Winnipeg Jets as he takes Miikka Salomaki’s place in the lineup. That means he’ll be on the fourth line with Colton Sissons and Austin Watson. There’s no zone sheltering there, but that’s a fast, physical, and hard forechecking line that might shock some shallower teams. The price was steep and the Predators gave up a first-round pick in an incredibly deep draft, but they received a player who’s worth it. History will look back on this trade with perfect hindsight, but for now, Hartman brings the Predators a step closer to winning the Cup.